Introducing a unique Islamic concept, Adya Hotel in Langkawi is perfect for travelers who simply seek to relax amid traditional hospitality and impeccable service. Opened on January 14, 2015, this 4-star splendor at the heart of Kuah Town presents a great vantage point for discovering the beauty and culture of Langkawi, a UNESCO Global Geopark. 207 – is the total number of rooms and suites at the hotel. 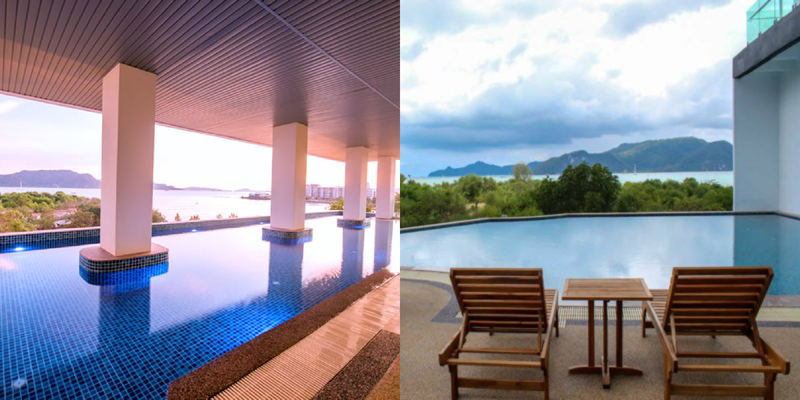 All these Langkawi accommodations have a private bath with shower and a balcony that commands panoramic sea and town views. There’s also free Wi-Fi Internet access, IDD phone, bath amenities, safety deposit box, and a praying mat. 24 – is the number of hours the hotel restaurant is open. Jelapang Restaurant is an open concept dining area that serves local and international cuisines. Breakfast, lunch, dinner, and snacks are available here. 7 – in the morning is the opening time of the hotel’s fitness center. Located at the 2nd floor, this facility closes at 10 pm. After work-out, female guests may pamper themselves at the Dahan Spa, near ladies swimming pool. It is open daily from 12 noon to 9:30 pm. 6 – is the number of meeting rooms at the hotel. All these can accommodate small meetings and events up to 50 persons. There’a also a stand-alone boardroom is equipped with the latest technology including motorised screen projector. 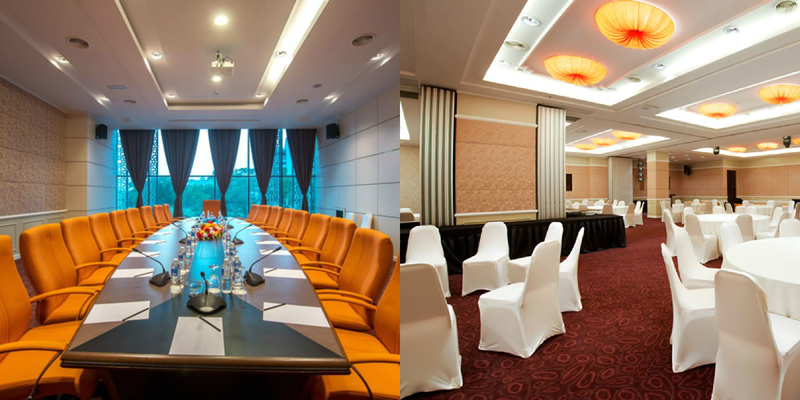 It provides premium facilities for meetings and small conferences and can accommodate up to maximum 20 persons. For bigger functions, you can utilize the Grand Ballroom, which can hold up to 450 diners. 4 – is the number of tourist attractions that are near the hotel’s address. These include: the Eagle Square where you can take a picture with the iconic 12-meter tall sculpture of an eagle; Lagenda Park, a beautifully landscaped folklore-themed park; Kuah Night Market that is open from runs from 7 pm to 10 pm; and Al-Hana Mosque, the largest and most famous mosque in Langkawi. 3 – is the number of swimming pools at the hotel. There’s an outdoor family pool and kid’s swimming pool where you can meet new friends. An exclusive pool for ladies is also available. This shows how committed the hotel is to its brand as an accommodation with an Islamic-concept. To book a stay at Adya Hotel in Langkawi, just log on to http://www.adyahotel.com/ and click on “Check availability and prices”. Instant confirmation is guaranteed.